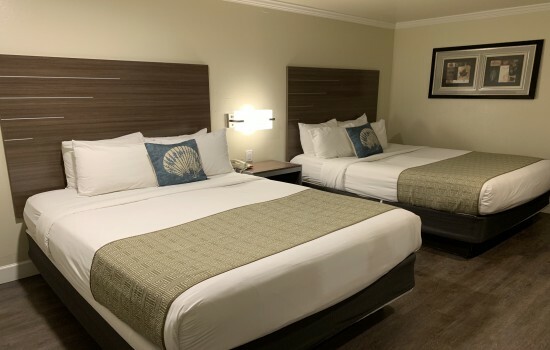 This spacious configuration with two queen beds is ideal for larger families’ traveling together. 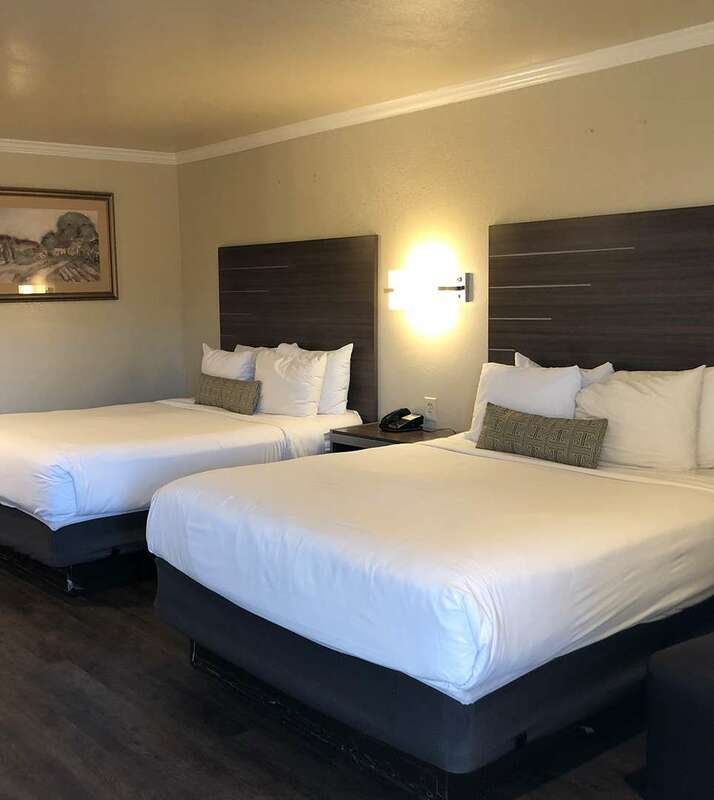 Our two queen room is fitted with a microwave and refrigerator, a desk/table, complimentary WiFi, a flat-screen TV with premium cable channels, a Keurig coffee maker, and complimentary local calls. 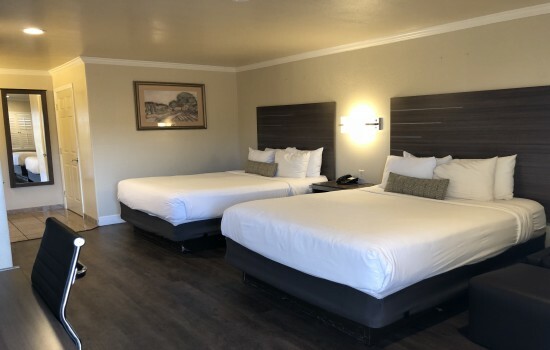 This room is available for our Extended Stay Program. 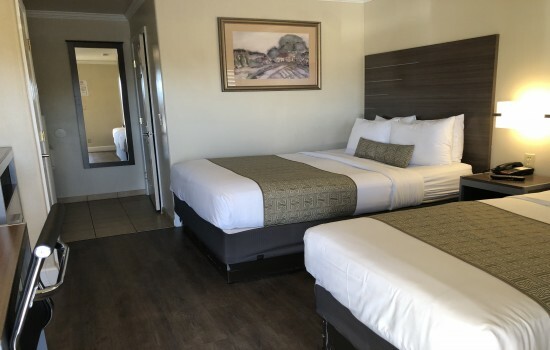 This two room suite offers three queen beds. 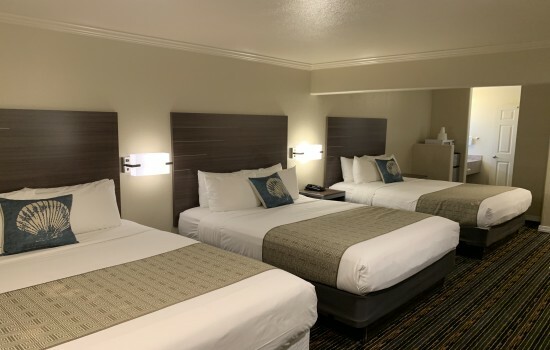 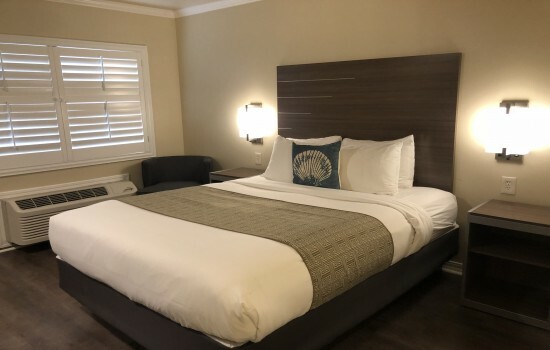 Two queen beds are in the larger room, and one queen bed is in the second room, making this an ideal choice for families or extended stay business trips. 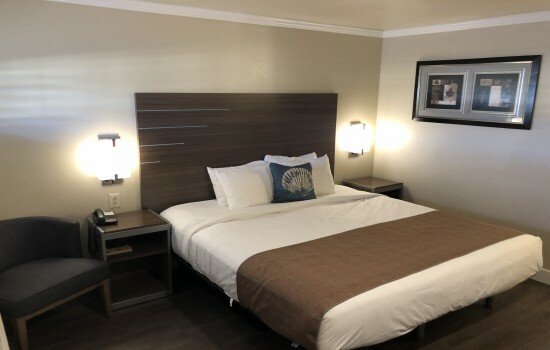 This spacious suite can accommodate up to six guests and includes a microwave and refrigerator, desk/table, complimentary WiFi, flat-screen TV with premium cable channels, a Keurig coffee maker, and complimentary local calls. 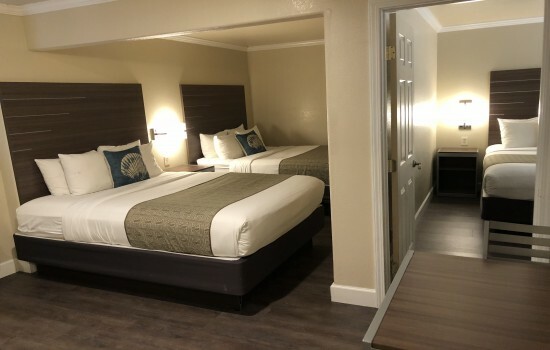 Our junior suite is fitted with two comfortable queen size beds and accommodates up to four guests. 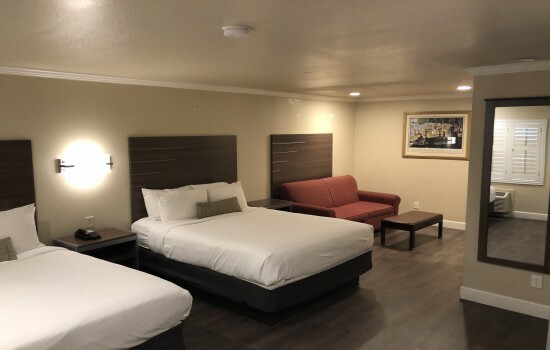 The separate living room is equipped with a sofa and coffee table. 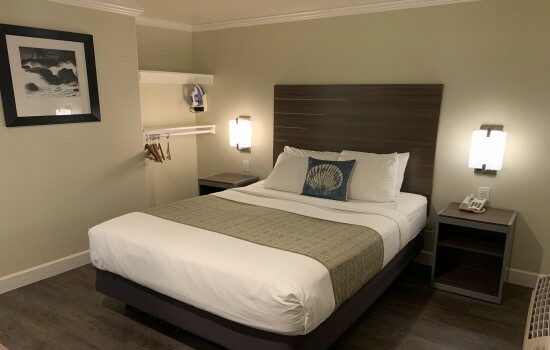 The suite includes a microwave and refrigerator, desk/table, complimentary WiFi, flat-screen TV with premium cable channels, a Keurig coffee maker, and complimentary local calls.